Home » india news » Amnesty to Kashmir youth on interlocutor’s urging: will it help his image? On Thursday, Jammu and Kashmir Chief Minister Mehbooba Mufti ordered review of cases lodged against “first-time stone pelters” in the past three years. An already constituted committee is to review the cases and furnish its recommendations within 10 days. But while Mehbooba has announced the measure, she wasn't the one who decided on it. Days before, the proposal was okayed by the Home Ministry on the recommendation of the new J&K interlocutor Dineshwar Sharma. To highlight the genesis of the move, the state government announced the review on the eve of Sharma’s second visit to the state. On Friday, Sharma reached Jammu for a six-day visit. In the province, he will be visiting the Jagti migrant camp in Nagrota area to interact with members of the Kashmiri Pandit community. He will also meet representatives of West Pakistan refugees who crossed over to Jammu from Pakistan in 1947, 1965 and 1971. On Sunday, he is scheduled to visit South Kashmir, the Valley’s most troubled area and interact with the youth. Hence the advance announcement of the amnesty. But while the potential of the move to create goodwill is moot, it has, on the contrary, invited flak for being done on the urging of the interlocutor. Leading this criticism is former chief minister Omar Abdullah, who sees the move as an encroachment into the domain of the state government. “Centre’s big amnesty push”! Looks like Mehbooba Mufti’s only job is to take instructions from the Central govt. This should have been a state govt decision,” Omar said in a tweet. On the other hand, the independent legislator Engineer Rashid also called on Sharma to work towards a political solution to Kashmir. “Kashmir needs a political solution. Though amnesty to youth is a good step, the state government is competent to do it at its own level,” he said. Similarly, a local newspaper in an editorial also rubbished the move. “Though Sharma’s suggesting the measure will help his image, it will hardly help his cause in the state. Granting amnesty to the alleged stone throwers hardly needed his intervention. The state government was competent enough to do it at its own level,” the editorial read. “The role of Sharma is potentially much larger. He is ostensibly here to resolve the political issues underpinning the ongoing turmoil”. In August 2011, Omar had announced general amnesty scheme on the eve of Eid for youth involved in over 1,300 cases of stone-pelting in the Valley during preceding year’s unrest. He had termed the amnesty as “Eidi” from the elders to the young. During extended 2010 unrest, according to a J&K police statement, around 5,000 persons had been arrested, with 258 of them being slapped with PSA. Though there was a relative peace from 2011 to 2014, the situation gradually deteriorated thereafter. From January 2015 to January 2016 alone, 799 persons were arrested in Valley on various charges. By mid-2016, the Valley plunged into the unrest following the killing of Hizbul Mujahideen commander Burhan Wani. It is the same committee which reviewed the cases of 2010 youth which will now recommend the cases of the youth booked since 2016. 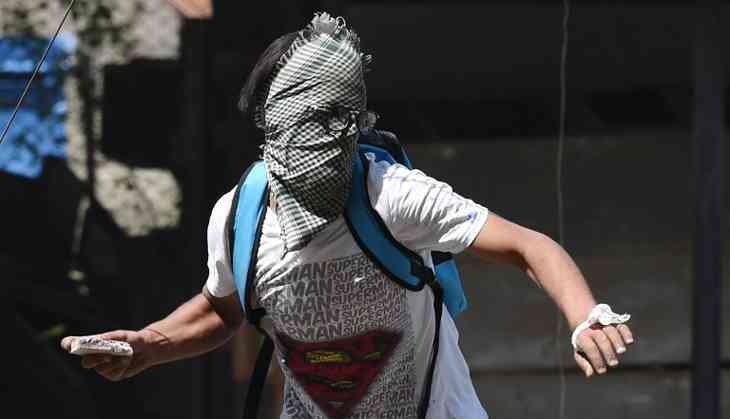 According to an estimate more than 11,500 cases have been registered against stone pelters since last year, 4500 cases of them against youth who were found indulging in stone pelting for the first time. Incidentally, the state BJP unit has grudgingly welcomed the move but called for “de-radicalisation and rehabilitation camps” for stone-throwers and surrendered militants. "A thorough screening of the past antecedents, police records including chances of remote association with any terrorist outfit, intelligence inputs and family background to rule out terror sympathisers must be done before taking a decision to grant amnesty to any stone-thrower," the BJP state spokesperson Anil Gupta said. But the refrain in the Valley is that the measures like the amnesty, though helpful in their own right, don’t help in addressing the factors that underpin the turmoil in the state. “Unless New Delhi upgrades the mandate of the three member group to take on the larger political dimension of Kashmir issue, little is going to change. The aspects of development, governance and regional grievances can best be left to the state government to be sorted out,” said the columnist Naseer Ahmad. “True Kashmir problem has a layered reality within the state with an inherent conflict among the regions and within the regions themselves, but this is not what triggers separatist uprisings and the violence in the state”.